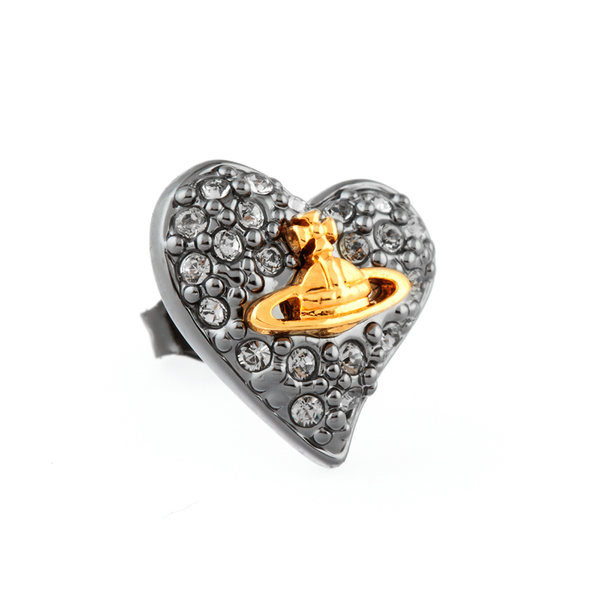 Women's diamante studs from Vivienne Westwood. 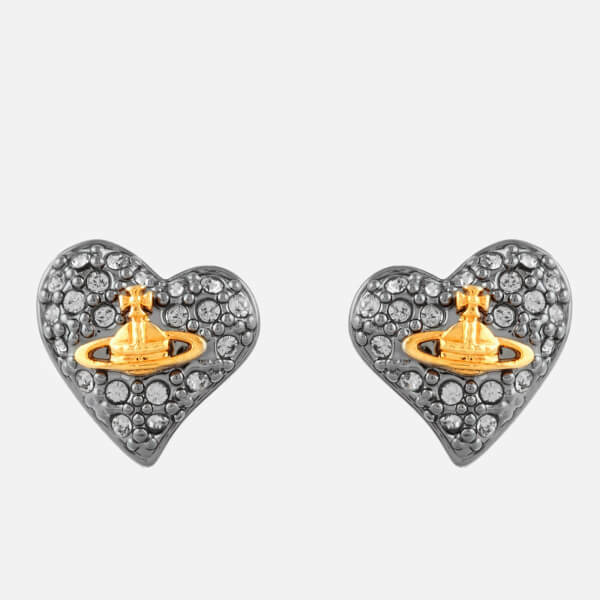 The gunmetal toned, heart shaped earrings are embellished with tiny crystals and the brand's signature Orb emblem in contrasting gold. 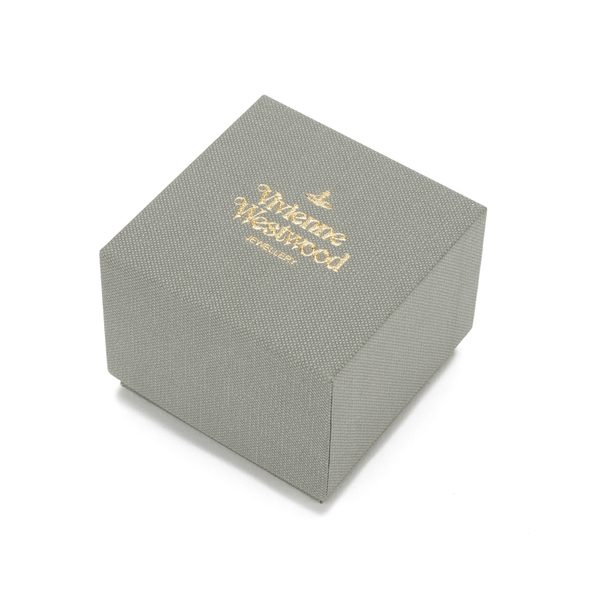 Fitted with a butterfly clasp fastening, and presented in a branded gift box. Dimensions: H: 1.2cm x W: 1.2cm.